It is a well-known fact that an opioid epidemic is engulfing our country. Some link this wide-spread addiction back to the late 1990s, when healthcare providers began prescribing opioid pain relievers at greater rates. Patients were constantly reassured they were non-addictive and were beneficial to their health. The increased prescriptions led to a misuse of opioids. It was then discovered that this medication was highly addictive. In recent years, the misuse has become so common that in 2017 Health and Human Services declared a public health emergency and announced a 5-Point Strategy To Combat the Opioid Crisis. Some might be unfamiliar with what an opioid is. Opioids are a class of drugs naturally found in the opium poppy plant. Opioids are often used as medicines because they contain chemicals that relax the body and can relieve pain. Prescription opioids are used mostly to treat moderate to severe pain, though some opioids can be used to treat something as minute as coughing. Opioids also have an effect of making some feel very relaxed or “high,” which is why they are sometimes used for non-medical reasons. This can be dangerous because opioids are highly addictive, and overdoses and death are common. 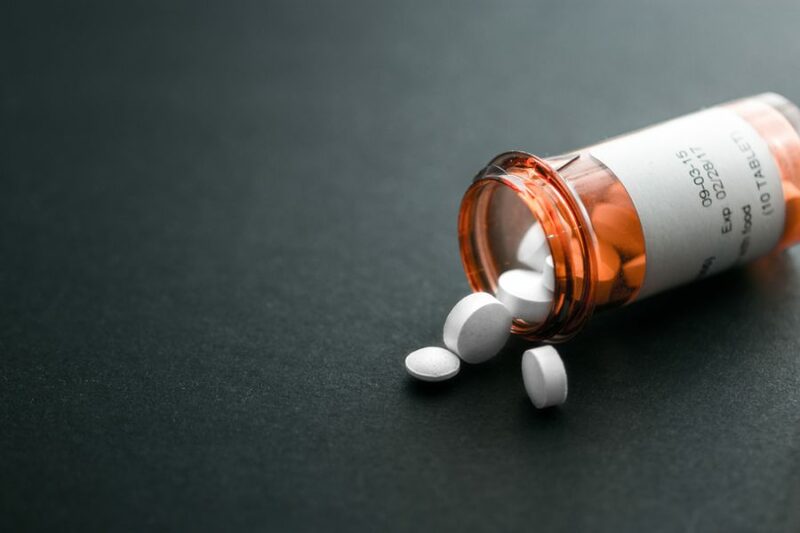 Lenoir City High School health science student, Faith Simmons, shares her thoughts on why opioid addiction is becoming so familiar with our country. Many begin interacting with opioids and then scale up to more powerful drugs, such as heroin and methamphetamine. Heroin is one of the world’s most deadly opioids. It is mind-blowing that taking common opioids such as oxycodone and hydrocodone in mass amounts is as harmful and addictive as heroin. Some other common opioids include percocet, morphine, codeine, fentanyl. Popular slang terms for opioids include Oxy, Percs, and Vikes. Simmons then adds her observations on how peer pressure is affecting teens drug use. “People are always looking for an outlet for their pain, especially teenagers, so when it’s easy to obtain the medications, than it is affecting our youth as a whole. One teen might try it and then it’s a snowball effect because no one wants to be left out from their friends. No one wants to be included or the odd-man out. Simmons was then described some common overdose situations. For example, many drug dealers are now placing extremely fatal drugs, such as fentanyl, in small traces in other drugs. There have been several cases linked to people lacing heroin, cocaine, and even marijuana. This means that now even certain batches of laced marijuana or cocaine could cause overdoses. Though it is uncertain why dealers would be putting their customers in harm’s way, it is believed they want to obtain the status of having the “strongest high” from their drugs, to gain more popularity and customers. Fentanyl is inexpensive, but 50 times more powerful than heroin, according to Sen. Rob Portman. Simmons voices her discomfort with the concept of acquiring drugs. Many people ignore the epidemic occurring, assuming it won’t affect them any. However, over 130 people per day die from opioid related drug overdoses. Over 11.4 million people abused prescription opioids in year 2016 and statistics are rising. Simmons was confronted with this statistic and shares her thoughts on the mass amount of drug usage. Given these statistics, this addiction is most likely affecting someone you know. Simmons states her personal experiences with opioid addiction. However, there is hope for our country, President Donald Trump pledged on October 24th to put an “extremely big dent” in the drug addiction in America as he signed legislation intended to help defeat the opioid crisis, the deadliest epidemic of overdoses in the country’s history. The legislation will add treatment options and get the U.S. Postal Service to screen overseas packages for a synthetic form of opioids called fentanyl that are being shipped largely from China. Efforts are being made to obtain providers of these deadly drugs. The White House says the Justice Department has contained a large distributor of drugs, and in August indicted two manufacturers of fentanyl and 250 other drugs to at least 25 countries and 37 states. Despite Trump’s calls for using the death penalty against major drug dealers, his administration has built on the treatment approach that Obama favored. The legislation covers not only opioids but also any kind of substance abuse. It expands Americans’ access to treatment and changes the law that prohibited Medicaid from reimbursing residential treatment at certain facilities. It includes $60 million for babies born dependent on these drugs and authorizes a variety of programs, such as drug courts that work to get incarcerated individuals into treatment. President Trump speaks out against the addiction and shares his intentions to terminate the opioid epidemic. Simmons shares her opinions on the programs being presented by legislated. Simmons then shares a few ways we could diminish drug dependence. “Maybe if we found out which parts of the drugs remove the pain and use more of that, but less of the materials that generate the “high.” Maybe prescribing a lower dose so it is just a more tolerable pain. And definitely decreasing pills. Doctors prescribe you big bottles of pills, which majority of the pills won’t be needed. Then, a lot will be stuck with that temptation of what to do with the medication they haven’t used or truly needed. President Trump has made a huge step in the direction of assisting the disintegration of misuse of opioids in the United States. Though opioids will be misused in the foreseeable future, reduced abuse is the goal of the programs recently set in placed. Most Americans agree that a decrease in opioid addiction would become extremely beneficial to our society.